I tackled my worst fear yesterday. Baking with yeast. I'm not sure why I was so scared of it. 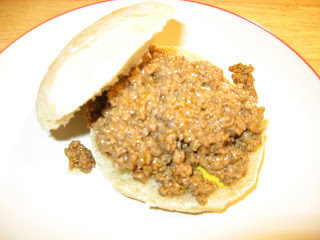 After tackling this recipe, I would say it is very easy! We planned on having "maidrites" for dinner last night. I'm thinking over half of you don't know what that is....any guesses? Answer will come tomorrow. But, there was a problem, we had no hamburger buns to eat them on. I had already been out for the day and honestly had no ambition to go out again, so.....homemade it is. Which is better anyway! 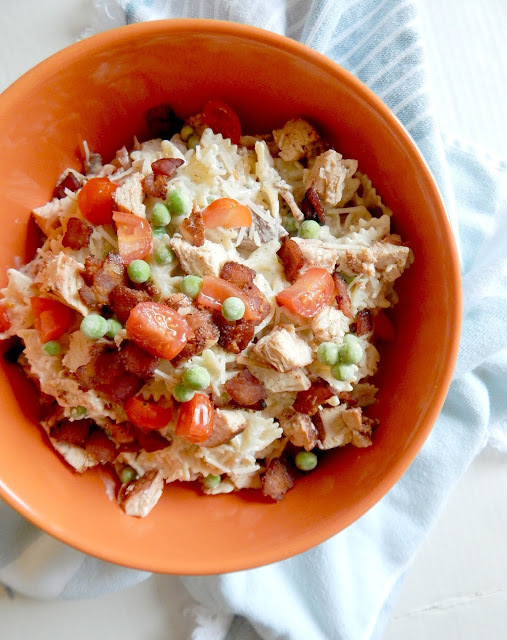 I saw this recipe a few days ago on Sarah's Cucina Bella. She is a wonderful cook and made it look so easy, I couldn't NOT try. Dissolve the yeast in the warm water and set aside. Sift together the flour and salt. Add the yeast mixture and olive oil. Stir until just combined. 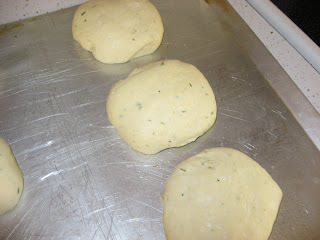 Turn the dough out onto a floured cutting board and knead for 5-7 minutes, until it forms a cohesive ball. Place the ball (it’ll be about the size of a softball) into a greased bowl and cover with a kitchen towel. Let the dough rest for one hour in a warm place. It will double in size. 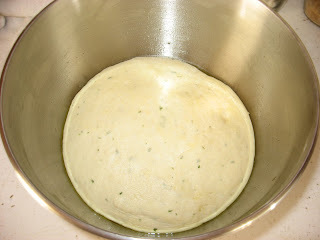 Once it’s rise, punch down the dough several times. Then, divide it into six even-sized balls. Preheat oven to 375 degrees. Remove towel and bake for 20-25 minutes until golden brown. Let cool for a few minutes before serving. Slice the rolls open and top with burgers and the fixings. Verdict? Amazing! We only ate 3 of them, so I wrapped the other 3 up in plastic wrap and stuck in the freezer. Honestly, I don't really want to eat a store bought bun again. Burgers on the grill will be next! Here's what else we did yesterday...sat in the sun! Little man and I enjoyed some time on the deck, even though he was SUPER crabby all day. A combo of teeth coming in and a long weekend, I believe. 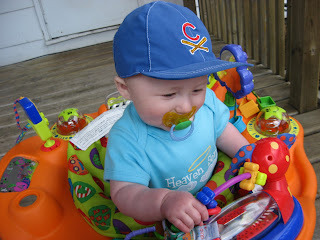 He's sportin' his Cubs gear! Thanks for sharing this bun, immediate bookmark, will try soon. Thanks for sharing. I am scared of yeast too... your buns look terrific. The buns look so great, but man, my breads have never turned out. I don't know what I do. Seriously thinking of investing in a bread maker. I tried Italian bread a month or two ago and it was hard enough to play baseball! Hooray for getting over your fear of yeast! Those look amazing! Oh no! You are a Cubs fan. Not sure we can still be friends - okay, I joke, but my husband and I are diehard Sox fans!! The pizza party was a lot of fun!! I guess I didn't realize you were from the Chicagoland area! i LOVE fresh foccacia! i have never tried making it myself! I will have to give that a shot ! 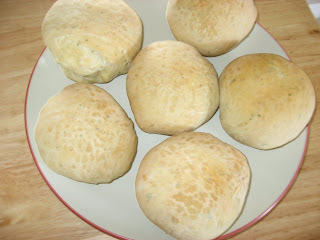 Making bread is on my list of to-do's! I would make a pre-ferment to add flavour to the focaccia dough. I was so confused when I moved to Iowa & people were trying to describe maid rites to me - I still havent had one! Oooh. Those look really nummy!!! I am going to have to try these. I am going to put this on my list of things to make - looks delicious! !